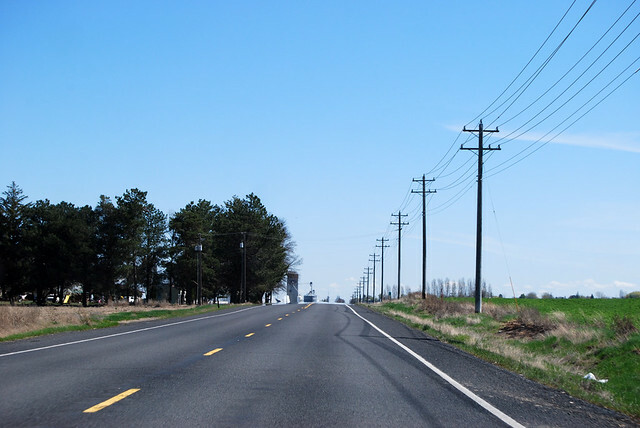 On Saturday, April 21, 2012, we finally started driving highways again, back on the road for SR 170. 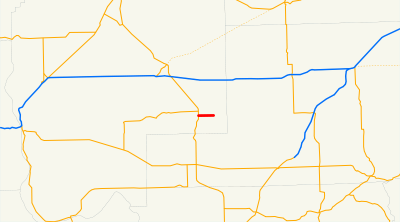 Beginning at a junction with state route number 17 west of Warden, thence easterly to Warden. 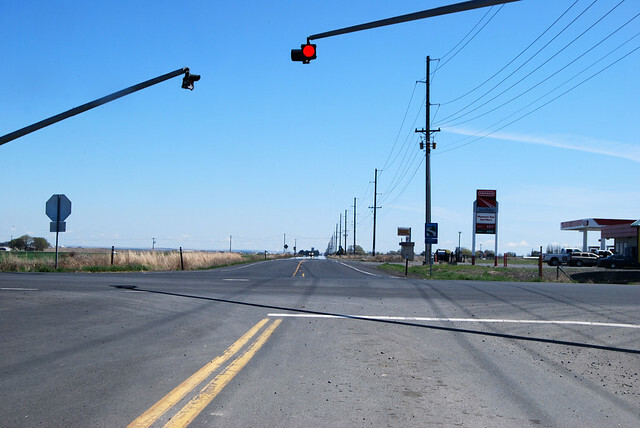 So here SR 170 begins, at a junction with SR 17 west of Warden (and thus south of Moses Lake). What a nice day for a drive! 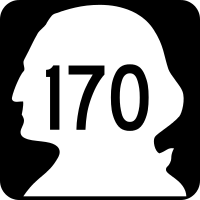 A couple miles later, driving straight east, we reach the halfway point of SR 170. Open farmlands abound. We soon enter Warden, a town whose raison d'etre seems to be a railroad hub. 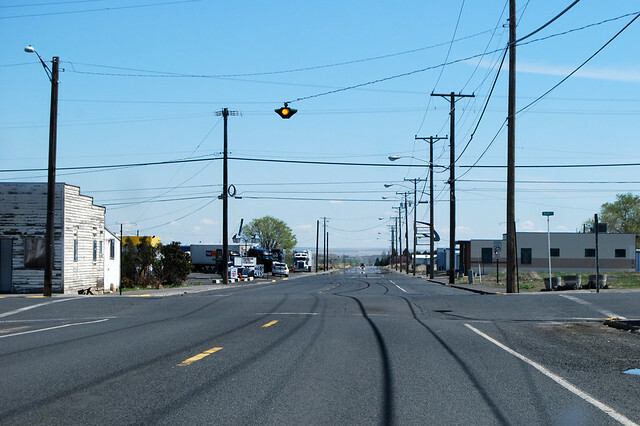 Several railroad lines cross here and the last mile of SR 170 is lined with granaries, warehouses, processing plants (without signs, so I have no idea what they were cooking), and the like. When we reach Main Street, the highway is finished. 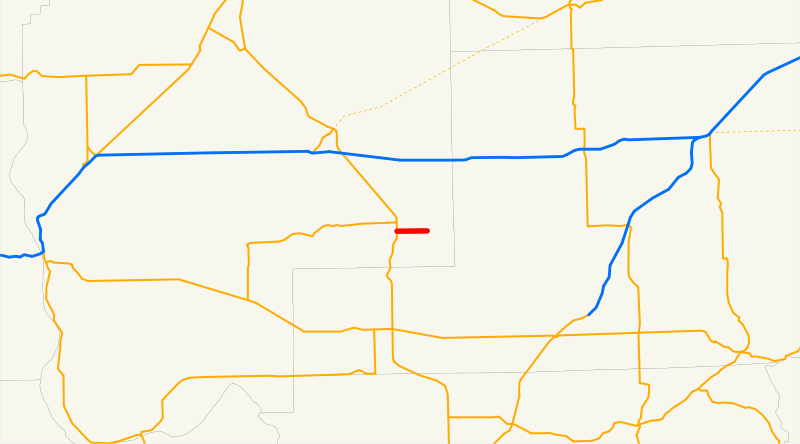 It seems that SR 170 exists solely as a connector between the railroad "port" in Warden and the rest of the highway system. Other than that, a quiet drive in the country.